The iPhone X, also known as iPhone 10 was launched on 12th September 2017 at a plush event which was watched worldwide. As expected, a lot of Apple gadgets were announced and unveiled. This post looks at the iPhone X (iPhone 10) in reader detail. Apple has unveiled the iPhone X, which joins the in Apple’s all-new iPhone line-up. Mfidie.com, your most relevant technology content provider brings you everything you need to know about the iPhone X (pronounced iPhone 10), including its price, specs and features. The iPhone X is in commemoration of the iPhone’s 10th year. The iPhone X is powered by Apple’s own A11 processor. It has six cores. Two of these cores are high-performance cores. They are up to 25 per cent faster than the high-performance core in the A10, which powers the iPhone 7 and the iPhone 7 Plus, says Apple. Then there are four other power-efficient cores that are 70 per cent faster compared to similar Cores in the A10. Apple has not specified how much RAM there is inside the Apple X. But leaks noted that it is going to be 3GB. And because the iPhone X has a higher-density display, that is indeed how much RAM it will come with. There are two variants of the iPhone X. One of them comes with 64GB internal storage. The other one has 256GB storage. Both are different only in their internal storage. Everything else is same. 5.8-inch resolution of 2436X1125 pixels. The Apple X uses OLED panels. 12-megapixel shooter with dual-tone flash. Also, F1.8 wide lens. This is one camera. There is a second camera too in the iPhone X. This one uses a telephoto lens with F2.4 aperture. 7-megapixel with an F2.2 lens. Not specified yet but lasts 2 hours longer than the battery life of the iPhone 7, which is not surprising given the fact that the iPhone 7 is a much smaller phone. The iPhone X features a colour OLED display with more than 2 million pixels. That means sharper text for reading, more impressive video playback and more. Better yet, it has a screen that runs from edge to edge so you get a bigger viewing area without having to carry a larger phone. You can register your face with the iPhone X so that it automatically unlocks when you look at it. We’ve seen this before in phones such as the Galaxy S8, but Apple says its face unlock uses 3-D imagery that’s even more secure. It says the new tech can’t be fooled by even a professionally made mask of your face and is more secure than fingerprint locks. This ties into facial recognition but is fun enough that it deserves its own spot on the list. Apple developed new “Animoji” that allows you to create short clips of your own emotions and send them off as emojis to friends and family. Maybe you’ll make a silly face with the pig emoji, for example, Apple’s facial recognition tech will help the emoji resemble the exact expressions you’re making. The iPhone X, iPhone 8 and iPhone 8 Plus are the first iPhones to support wireless charging. Qi, the standard Apple chose, is typically very slow. But Apple has the power to bring wireless charging pads everywhere, from retailers to restaurants, and I suspect it’s about to take off now that it’s finally on an iPhone. Apple says it’s still working on perfecting some wireless tech, too, so perhaps it’ll be much faster when it launches. 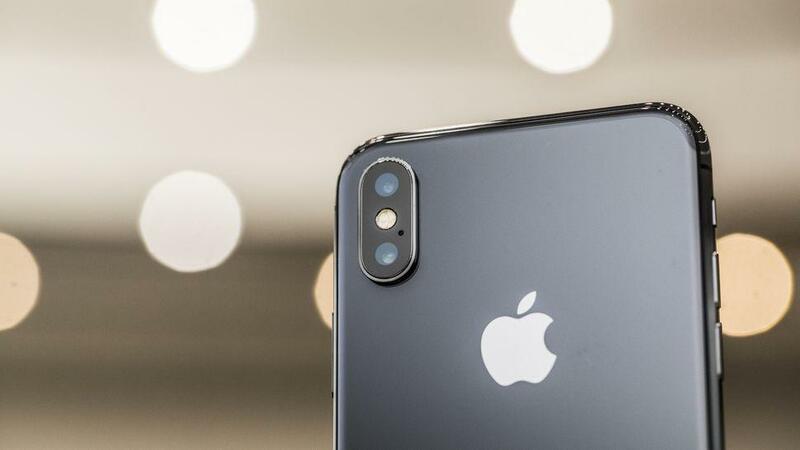 The iPhone X has a 12-megapixel wide-angle lens and a second telephoto lens for zooming. Apple says it offers huge improvements over the cameras we saw in the iPhone 7 Plus, which was the first to offer a telephoto lens. Also expect to see less shaky videos, improved pictures in low light, and more. Also, a new front-facing “TrueDepth” camera is capable of taking those fancy portrait shots that debuted on the iPhone 7 Plus, which create a blurred background bokeh effect that looks much more professional. Although the iPhone X price is from $999.00 to $1,149.00 depending on the variant, official prices for countries like Ghana, Nigeria and Kenya are not yet known. For now, you can just convert into your local currency. Mfidie.com will update this post periodically. Swap deals for the iPhone X will be available on Mfidie.com from December 15th, 2017.